Apple is never going to stop to surprise its users, even those who have not been an iOS fan also takes interest in all the handpicked features Apple introduces every year, and of course sometimes it also brings something really very special before the official launch of new iPhones in September. Well the question is, what is the major difference which makes an Apple iPhone all better than any other leading smart device? The clear cut answer to it, is its unstoppable beauty packed in smartness, it is user friendly and a lot secure, with the excellence that has been expanding and growing since ages. Although iPhones are usually heavy on one’s budget and also not very feasible buying unless you have a heavy pocket. But still people cannot compromise on the quality and hence decide to grab the latest of all—an iPhone. Well the rumors and talk of the town says that it has come with a special edition—launching this Friday. Apple iPhone 7 and & plus are making a new history with their ruby red sets. They are remarkably amazing and way too stunning to buy. Basically these are made for a cause—to contribute with global funds to fight back AIDS. 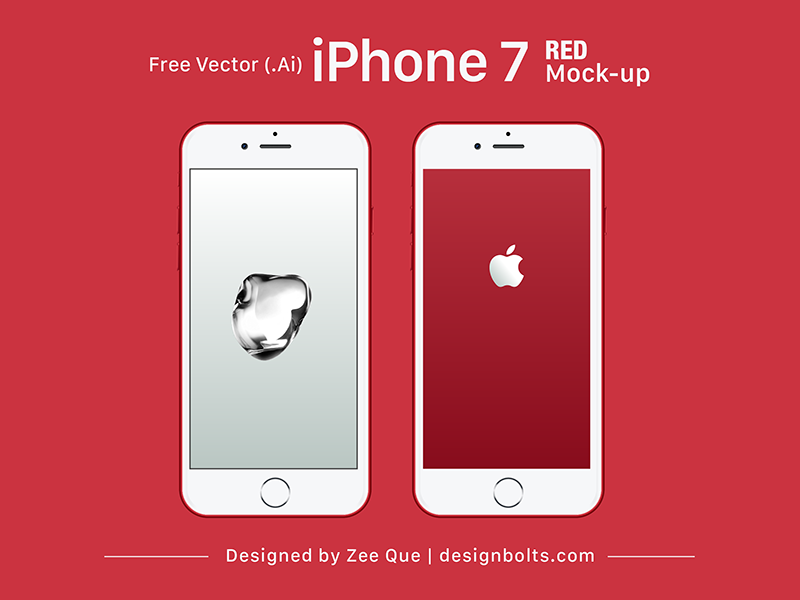 This sounds interesting, so today I made free Apple iPhone 7 red mockup for you all, that you can imply in your current or upcoming lined up projects, check this out, and write to us what has been your design interest. Here we go with a bang!